We are co-located at Hawk's Shadow Winery in Dripping Springs, TX. Taste with us! The first bill, SB313, (there are Senate and House versions of this one) would eliminate the annual 35,000 gallon limit on winery production earmarked for Direct-to-Consumer, whether at the winery or through wine clubs and regular sales operations. This is a positive growth bill for wineries in the state where DTC sales have been on a roll this decade. The second bill, HB3794, is the Grower’s Permit bill, which would allow a vineyard owner to grow grapes, store them and produce wine, keeping it in their legal control until it is sold in bulk to a winery. Growers love this added flexibility in managing their harvest and in establishing a lower-cost bulk wine market, something that will come in handy as production levels rise in the state and market demand continues at this healthy clip. The third bill, HB4233, is the Labeling Bill, which would require wineries to use 100% Texas grapes in any wine labeled with the Texas Appellation, with a 5 year phase in. Currently, the law requires a minimum of 75% Texas fruit for a Texas Appellated wine, but significantly higher levels for labeling indicating a specific AVA like the High Plains and the Hill Country). Further, it would require the wine to be fully produced here, never leaving the state to finish production, to be labeled as Texas Appellation. It also gives the Texas Agriculture Commissioner the right to allow non-Texas grapes in years where the state harvest is deemed “Insufficient to meet projected production estimates”. (How that is determined and monitored is unclear). There’s a lot to unpack here, so pour a glass of Texas Wine and continue reading for the full story, and please do not hesitate to contact us for any reason! We were recently asked by a dear friend and industry colleague about our position on the Labeling Bill. Our personal inclinations are quite clear when it comes to government regulation. Life lessons from my father growing up in Cuba, becoming a US Citizen, then Professor of Political science, have informed my views of the political process, which operates inside a world unto itself, sometimes losing the vital connection to original intentions, often becoming a pawn for lobbyists with competing agendas unrelated to the specific issue at hand, and would trade one for another in a heartbeat. So, we take no position other than to advise everyone to NOT put such reliance, expectation and control outside of the industry. That said, we will behave according to our stated view: We will produce wines from 100% Texas grapes and label them according to the laws on the books. Now, here’s a challenge: say we were to embark on a plan to produce a spectacular sparkling wine from 100% Texas Grapes. and have the production handled by professionals of our choice - a company with the skill, capacity, safety and cost-value capability for methode champenoise that perhaps does not currently reside in Texas. Would we be allowed to declare it a Texas wine? The bill would forbid that. If the grapes are all from a single vineyard in the High Plains, would we be able to declare that instead under AVA rules, which in fact may not even require 100% Texas grapes at this point, I can’t honestly recall? The bill doesn’t say. That’s where things begin to break down — is this about Labeling? Or is there more implied in the situation — Origin, Texas Wine Industry, or even Terroir, which is specifically indicated in a press release by the main supporting group? [Sidebar: Terroir is a French term and naturally, takes some explaining. I think it is best explained as a combination of location/site, climate, soil, and informed human interaction (grapes, viticulture practices) with these variables. The more specific each variable is, the more authentic the Terroir becomes. The more general any one variable is, Terroir becomes progressively drained of potency and authentic relevance]. Further, who should make such picky decisions — should we empower and burden the bi-cameral congress and lobbyists who live in a horse-trading environment, with the Dept of Agriculture? Right now, our industry is incapable of making a unified decision on such matters, even though in 2017 a majority of wineries and Industry organizations made clear they would not support such a bill. Notably, in 2019, one Industry group has put forth an alternative with an Industry-issued 100% Texas sticker indicating the grapes are all from Texas. Ironically enough the loudest objections to the Sticker program came from voices who prefer congressional legislation rather than industry guidance. It’s unfortunate when motives and even Texas loyalties are questioned, and it’s tragic when friendships are burdened with political disagreements, which should be allowed to flow without impugning character and intent. There are plenty of Texas wineries, on both sides of the issue, that have bought thousands of tons and planted huge swaths of Texas vineyards, giving the grower community a viable future on both sides of the debate, with jobs, revenue and sales tax flowing across the state. Risking this economic engine by forcing a fractured industry to break along the lines drawn by a legislative bill where the advocacy itself has become personalized, for many, seems questionable. And with a solid alternative, albeit not without challenges and a long road, we believe it’s an unnecessary risk to take. So what would we do? How would we proceed? Because we do agree “you have to start somewhere”. This is more than just Truth in Labeling. as the production requirement makes clear. So, if this is truly about Origin, and Texas wine growers, and Texas wine quality, as well as Truth in Labeling — which we believe it is — then we would advise a different way to approach. One rooted in wine history, culture, and practice around the world, and also with the potential to be practiced more effectively here in Texas. For our part, we would prefer, and would work with all parties, to create a self-governing body firmly rooted within the control of a united Texas Wine Industry, a group that drives Appellation-designated labeling requirements supporting 100% Texas Grapes, and 100% Appellation grapes, over time. And we would advocate continued sub-appellation development, leveraging the original Hill Country AVA work of Texas Wine pioneers like the Aulers of Fall Creek Winery. Overlay that with the pride of Real Texas Wine stewards like William Chris Vineyards, the historic retail connections of Becker and Messina Hof, the strong customer reach of Grape Creek, the meticulous small batch production of Calais Winery and Lewis Wines. The family vineyard and winery businesses of the McPhersons, Timmons, Newsoms, and Binghams…. And the many new 100% Texas Wine producers and out-of-state investors arriving every month. Like us, all are grateful for those who came before, and are delighted to make great Texas wine and grow a business to serve a multitude of happy customers. Think about that for a second, and all the sacrifices, investments and accomplishments sourced from these groups for the Texas Wine Industry. Sounds like a pretty great team! In our discussions with generational families, growers, and wine loving experts in California, Washington, Oregon, France, and Spain, this is how the best wine growing regions emerge… not by defined decree at the national or state level, but through meticulous work at the AVA level. Yes, we stipulate that their wines are 100% National or State origin. But that’s incidental to what is happening locally. Just what is it that gives these AVA’s market power, collectibility, premium retail presence, and a clear place in the hearts of wine lovers? What is it that imbues these wines with Terroir? It is the authentic sense of a specific place. One that is classified and protected by the industry within the AOC systems in place around the wine world. Terroir is not designated by a political boundary, which by definition every country, every state is. There is no French Terroir, no Spanish Terroir, no California Terroir. Terroir exists at the micro level — appellation, region, commune, vineyard, estate, and block. The more narrow the definition, the greater the expression of the site by the wine. In France, if you took grapes from Bordeaux and from Burgundy to blend the two greatest appellations into a single “100% French” wine, you would have a national and cultural disaster. Because everyone associates the Appellation with great wine, Terroir-driven wine, a wine of specific authenticity, wines worthy of pursuing, collecting and supporting a premium. This can easily be corroborated on www.CellarTracker.com. Search for yourself - have a look at the many thousands of Pinot Noir wines listed by wine lovers from Oregon, to take one often-used example to support the premise of desirability of 100% state-appellation wines. What do we find? Less than 5% of the Oregon Pinot wines tracked by Cellar Tracker are designated at the state level for appellation. The other 95%? They are designated by specific AVAs within the state — regions, communes and estates. Look at the pricing, the ratings, the collections —- it’s quite clear on the matter. This is true, again and again, for AVA-specific wines vs state or nationally appellated wines. If you want Terroir, if you want expression, if you want the name to mean something to the wine-loving, critically driven world of collectors, critics and retailers, then you must pursue quality and Terroir at an authentically specific level - estate, vineyard, commune - or the appellation level at a minimum, and build up from there. We should not conflate a concept like Terroir , apply it to anything that grows from Amarillo to Laredo for the sake of Labeling, and expect the market to recognize us as a superior wine region. Now when we talk about say, Sagmore vineyard, or Hye Texas, or Round Mountain, the Salt Lick Vineyard, or Mason, or even a region as large as the High Plains, we begin to get a more clearly defined, specific indicator of true Texas wine quality and authenticity. Let the 100% Texas Grape origin labeling solutions flow from that level and radiate up and out. They will gain strength and be replicated elsewhere. Texans always think big. It’s our birthright. We are bigger than Spain. And bigger than France. (ironically, the first two of the Six Flags that have flown over the Lone Star State). In terms of vineyards? Well, Texas has less than 10,000 acres under vine. (France has 2.3M acres, Spain, 2.9M acres under vine). In this case, we cheerfully advise eating the elephant in the room one bite at a time. So, let’s start from a specific point of origin to tighten Labeling, bolster 100% Texas Fruit, and improve #TxWine quality. And, importantly, embrace another goal of equal importance — let bygones be bygones, presume positive intent in our dealings, and unify the industry. Then let’s see how the market, wineries and growers respond. That way, we can build on a solid foundation of mutual support rather than imposed law. Row by row, we will create an authenticated, Terroir-driven vineyard map of Texas that will rival any you care to name. When we do that, our future will be as big as the Lone Star State which we all call home. That was probably more than you wanted to read — thank you for the honor of holding your attention for this long. We’ve thought about this for a very long time. And there is so much more that can be said. But that’s for another post. Our view regarding 100% Texas Wine is clear, and we state it on every bottle. No Stickers, no Legislation needed. We will continue to produce amazing Texas Wine. And we are grateful if you count us as a friend of every Texas Winery and Grape Grower, no matter what your position is. You have our Word. Have a wonderful Spring and come taste with us at Siboney Cellars and Hawk’s Shadow Winery in Dripping Springs. Barbara’s wine portfolio is about to bloom and you definitely want to be a part of that. Solo is so good you’ll want it all to yourself. But we won’t blame you if you share! We are excited to introduce our newest Red from the 2017 Vintage. Solo is a single vineyard varietal, from Lahey Vineyards in The High Plains. The grape? Nebbiolo. Extremely rare in Texas, Nebbiolo is one of the most noble and prestigious grapes in the world. You may know that in the Piedmont, Nebbiolo creates a profound wine, Barolo - extremely long lived, complex and rather rare in the fine wine world. We have only a very few bottles of this Italian Icon in our cellar. But, the way Barolo ages, the color and complexity it shows, the grace it features when served, Barolo is one of the true high points in wine appreciation. Clearly and with profound respect to Pio Cesare, Conterno and all the greats in Piedmont for centuries, it takes much more than Nebbiolo to make great Barolo. So please do not mistake our humble offering of this noble grape as a precocious attempt to replicate Barolo. I know it goes without saying, but I’d rather you hear that from us directly so there is no mistake! Generally speaking, the grape may not be ideally suited for our challenging growing conditions. Consequently, there are not many vineyards growing Nebbiolo. When we first met Doug and Tom Reed at Hawk’s Shadow, we were surprised and delighted to find they planted a few rows of Nebbiolo in their Estate vineyards in Dripping Springs. Not enough for a separate bottling, Nebbiolo is featured in their flagship Estate blend, HSV. So when we learned that Lahey Vineyards was working with a young plot, we jumped at the chance to try it and we can say with affection, the result in the glass is certainly encouraging! A unique wine with many special attributes, Solo is a young, early drinking red striking in character. A deep shade of ruby, more Pinot than Cabernet in hue, with pearlescent reflections, elegant in the glass. On the nose, cherry blossoms, cut strawberries, and Italian herbs. The wine is young, punchy with a savory warmth on the structured, tannic finish. Hold or drink now, but either way, it’s the perfect red for simple roast chicken. Just $32 for the bottle. Give Solo a try. Stop by the tasting room in Dripping Springs. We think you’ll appreciate Nebbiolo as we do! Checking in on the 2017 Barrel Samples. Last night, we set up a dozen glasses to taste through red wine barrel samples from the 2017 Harvest. While we are close to releasing our first red wine, Travis, we are also working on a range 2017 vintage wines that will be released in 2019-20. Our sampling session reminded me of one of my first tastings in France, where a veteran winemaker poured his wine and told our of group of young students, "this is my wine. You may taste it, but I really don't care what you think about it. If you don't understand it, that is not my problem!" Well, more than ever, I can empathize with this man! Barbara and I have tasted wines through a number of professional programs over the years, from the Wine School of Philadelphia, the Court of Master Sommeliers, and a few terrific Texas Winery and club programs. Barbara continued her education through the Winemaking Certificate Program at Texas Tech and in the cellars of a few of our colleagues. And, for my part, I have tasted thousands of barrel samples with the Union des Grands Crus de Bordeaux, and with professional wine writers at the top of their field, for 10 years. Last night’s tasting - assessing our own wines - well, this was something entirely different, for both of us. The difference is not just the personal stakes -- this is our wine, destined for your trial and appreciation, which is of course, quite motivating. It's also the variations and stages of evolution of foundational barrel samples that - trust me on this - individually, you just don't encounter in finished wines... wines that are yet to be blended, then bottled, over the next two years. The :30s video gives you a simple idea of these variances. But the two hours of tasting that followed is not so easily conveyed! It's one thing to assess a dozen wine samples from top Grand Cru properties in Pauillac, looking for nuances between blends and terroir, and between vintages and chateaux (It's also a privilege to make such assessments!). You quickly can pick up patterns and look for certain markers to create a strong view of what the finished wine will become. Plus you have a well-trained group of tasters who have a long history at this sort of thing to exchange views. In this case, however, there are just the two of us. And, we are assessing raw materials in early stage, building blocks that may very well be combined in ways we have not contemplated. By definition in Texas, these are very young vines, new plantings for the most part. We do have a going-in plan, again on paper, but the wines in the glass have other ideas. Surprises to the upside or the downside, and on particular days one will taste completely different than it will on another day. Samples pulled from barrels just recently stirred, or racked, will behave quite differently today than they will two weeks from now. No matter, the show must go on! One of the fundamental questions is, should we commit to a particular blend now, at this point, combining the barrels together and setting an irreversible course now? Or should we follow each wine on its own trajectory, and defer the blending options until we decide to bottle? Obviously these are not new questions for any wine maker, but for wine tasters, the implications of such questions rarely cross your mind. It's not your problem, and by the time you are poured a glass of wine, it's fait accompli! Another factor -- A small winery does not have "safety in numbers" that allows larger wineries to specialize, blend away, or even declassify multiple barrels or entire parcels and still create a very good expression of the Grand Vin de Chateaux, or a particular wine program. In our case, each barrel has a critical future, a role to play, a performance to give. It's our job to maximize that potential, and then identify the best way to bring it to bottle. Obviously, the wine will not age itself or blend itself. Left to its own in barrel, wine will (1) settle, (2) begin to oxidize, (3) commit itself to a course, and eventually (4) evaporate. Knowing the inevitability of these natural forces at work, and the choices that remain, it falls to the wine maker to monitor, guide, intervene, interdict, or redirect the trajectory of each barrel, and work out the plan for combining (or deferring) the barrels to showcase a vineyard site, a varietal expression, or a house style. So the glasses in front of us now are scrutinized with specific intent -- not just what the expressions are, but how committed they are, what they lack, where one barrel might help another, whether tonight's sample is a true picture of the wine, and what might be the next action to take. Options abound -- do nothing (you may be surprised how often this is employed, and how well it works in the world of wine! ); rack to a different barrel, give it a good stir, top with a similar wine, blend into a combination you had not considered, or send out for testing. Or retaste in two weeks. If Blind Tasting is the great leveling experience for wine critics, then foundational barrel tasting is the great humbling experience for ANY wine taster. As we tasted these samples, we learned a lot about what we don't know, even with our "experience". But we are resourceful, and can work through any problem..., that is clear in the determination I see from Barbara, which always inspires me to be at my best. Take a look at the photo at the top of Siboney Passion. That was taken after tasting two wines that would make even the most stoic jaded wine taster give in. You can see the bottles in front of us. Its hard to imagine those winemakers at one point in their careers working through the beginning stages of new wine programs. But they all do. One day, we fully expect to earn the right to say, "WE all do". Just. You. Wait. And if you hear me say, "this is our wine, I don't care what you think", just slap me! 1000 feet above the Wilkes Block at Lahey Vineyards, you can see for miles. And you can see how farmers are converting acreage from water-intensive crops to vineyards. These wind fans protect against Spring Frost by stirring cold air with warmer air and can alter the temperature a few degrees - crucial in the Spring when frost can damage early budding varietals. Hill Country- On our way to the High Plains we visited Drew Tallent in Mason. We checked on Drew's Cabernet Sauvignon and Tempranillo, which we harvested last season and plan to follow up again for 2018. Drew's site is one of the premiere Hill Country vineyards, a sloping terrain with good drainage on granite and quartzite sandstone. Drew has a long history of growing quality grapes for several wineries we admire, including Becker Vineyards and Lewis Wines. We jumped on the opportunity to secure small parcels from relatively young vines so as to get a good read on what is possible from a Hill Country AVA for two of our long term favorite grapes. The Tempranillo looked to be pretty well balanced for fruit production and vine vigor, while the Cabernet shows a bit more fruit blossoms on the vine (which make for a wonderful aroma!). We will monitor that and assess ways to reduce yield so all the fruit has a better opportunity to ripen fully within the growing season. High Plains - So far, in the High Plains, 2018 has been quite dry, even by High Plains standards, and our vineyard checks confirmed this, particularly between the rows where cover crops have not rooted, and the soil looks quite thirsty! That said, the first part of the spring growing season are favorable for many vineyard blocks, which came through a cold winter and avoided Spring Frosts. Of course all eyes now look to the skies not just for beneficial rains, but for the potential for towering thunderstorms that bring the ever-present threat of hail. Indeed, as soon as we left the High Plains, we encountered a spectacular storm in San Angelo, and rode the lightning all the way back home. So it is touch and go over the ensuing days! Lahey Vineyards -- we truly admire, and to be honest, are somewhat awestruck, by the size and scale of the operation at Lahey Vineyards. With over 600 acres under vine, and managing more than 2 dozen varietals, Doug Fairbanks is one of the busiest in the industry. We are working with a few blocks at Lahey - Syrah, and Bordeaux Red Varietals. Doug also indicated a very dry spring in his vineyard, and is dodging storms while assessing early growth and blooming. January 2018 - Blending Trials Underway! Everything is coming into focus -- Barbara's blending trials are now at hand. Tasting through samples from our 20 barrels resting in the cellars at Hawk's Shadow -- red, white, rosé, and our aforementioned port -- the way forward points directly to a Spring Release of our premiere wines. And we can't wait to share it with you! Blending trials are fascinating, and give us even more respect for winemakers all over the world. Whether assembling a final blend from 90 lots for an amazing 2015 Bordeaux, or working with a vineyard plot that hung just a little too long, winemakers sweat the details. We approach this task with a plan in hand as we taste, test, and talk about each sample. But the wine in the glass has the final word. And this must be noted: some of these lots are just too beautiful to blend! Like a classroom of students, each lot holds the potential for a delightful future. Some are obvious in their strengths, others require a certain amount of guidance. But all are gifted and talented! Meanwhile, we are ordering bottles, glasses and have just taken delivery of our corks. Our closure is a 2" natural cork from Scott Labs. It features our branding on the cylinder and a fire-vintage imprint on both ends. We know you will delight in pulling this cork very soon! Siboney Cellars has completed the 2017 Harvest -- our very first -- and happily, at the high end of our volume expectations. Now in the grand scheme of things, being above our modest plan doesn't amount to a whole lot, but when you are doing it all yourself by hand, you definitely feel it! I should say, Barbara definitely feels it, as she is the one who has done substantially ALL of it! Splitting time between our own harvest and that of our hosts, Barbara has now worked over 11 tons of grapes destined for Siboney Cellars, from vineyard to bin through fermentation and now to barrel. We have 20 barrels of 2017 vintage Texas Wine in our corner of Siboney Cellars. We went into the harvest with a plan, and have emerged with a pretty good chance to bring that plan to market, and offer a couple of unexpected, hopefully delightful, surprises. With two white grape varietals in the cellar, Roussanne and Viognier, we have an opportunity to present two single varietals, or a blend, or potentially the blend and one single vineyard varietal. The bounty of red varietals in 2017 affords an opportunity to present a Saignée Rosé. We fully embrace and applaud the Pink #TxWine efforts across the state! We see consistent quality and thousands of happy wine lovers when they taste a great Texas Rosé, bright, balanced and dry, and perfect with gulf coast seafood. We can't wait to join in. Turning to Reds, the prospects are exciting. We don't want to say too much at this point, but we plan to have a precocious early-drinking Red in 2018. And, we are preparing at least two assaults up the steep slopes of the "serious" Texas Red Wine summit, in the style of classic wines we have come to know and love over the years. With the varietals, quality, and sources under Barbara's care - now safely in barrel - we look forward to tempting you with wines for your own cellar. 2017 is in Barrel. Our Barrel. Siboney is a beautiful old Cuban song written in 1929 by Ernesto Lecuona. A true child prodigy and prolific songwriter, Lecuona composed many classical pieces, theatrical plays, and ground-breaking Afro-Cuban songs. Well known in Cuba, Latin America and the USA, nominated for an Academy Award, and inducted into the Songwriter's Hall of Fame, his musical career spanned 5 decades before his passing in 1963 in the Canary Islands. Siboney was adopted in Cuba as a cross-over song with great popular appeal (well before Fidel Castro), to the point where it became an unofficial national anthem -- the song is played by the television network at the end of broadcast each night. Siboney has been recorded in dozens of arrangements over the decades, and featured by artists including Placido Domingo and Bing Crosby, and more contemporary to Texas, The Mavericks (who one day we hope to meet). Listen to the original classical version by Ernesto Lecuona, the flawless interpretation by virtuoso Thomas Tirino, and several by the Buena Vista Social Club. Lyrically, in English, Siboney is nothing more than a catchy pop tune evoking the rhythms of a Havana night club, crooned by Bing Crosby. The original Spanish lyrics, however, written by Lecuona, are a different matter. The Canto Siboney speaks of a man calling to his one eternal love, without whom he cannot live. The one who he asks to come to him, the treasure in his heart valued beyond all. That even in the murmuring of the palm trees in the breeze, he wishes to be thought of by his one true love. Entreating for his love to hear his voice, his clarion call, his voice of crystal, and not to lose this calling amid the many distractions of life, he loves her, and without her love, he will die. This, without doubt, is passion defined. Perhaps in a future post we will showcase the lyrics in Spanish, as we are seeking permission to feature a version sung in Spanish that is particularly haunting in its rendition. This life journey -- to discover, recognize and follow the clarion call – to hear life’s passions – and not to lose track of the fragility of this song in the midst of life’s chaos – this is the passion that brought the owners together 10 years ago. And it happened on a trip in Bordeaux. Since that moment, Barbara and Miguel have endeavored to stay in touch with this calling. Siboney Cellars is the embodiment of this journey. Siboney Cellars is a life's passion. Pursued, realized, savored. The composer of Siboney, Ernesto Lecuona, is Miguel's great uncle. Would you like to hear Siboney as it was originally composed for solo piano? We have permission from BIS recording artist Thomas Tirino to feature his virtuoso recording of Canto Siboney here, and it is the only one we know of that faithfully replicates the version Ernesto recorded in 1954 for RCA, for there is no sheet music of this rendition. Mr. Tirino executed this recording through his own efforts by ear, in 1995. Bravo Thomas, thank you for allowing us to feature you! Siboney Cellars is co-located at Hawk's Shadow Winery in Dripping Springs. Oh! 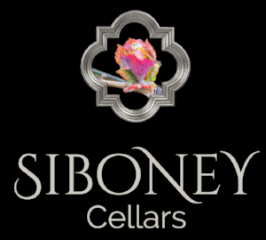 You want to know how Siboney Cellars got its name? That's a great story! Check out Siboney Passion! Unless attributed otherwise, all photos and videos on this website copyright 2017 Miguel Lecuona, Hill Country Light LLC. Website copyright 2017 Siboney Cellars LLC. Designed on SquareSpace.com by Wine Marketing Guide LLC.